When this prototype of the "Nintendo Playstation" first surfaced on the web last year, the entire gaming community came together in collective awe. Like finding a living dinosaur, the fabled, downright mythic Nintendo Playstation was one of the most monumental “finds” in recent gaming memory. If you’ve ever wondered why this thing is so important, and why people haven’t shut up about it since the day it was discovered, allow us to break it down for you. We all know that Sony and Nintendo have been battling it out over console sales for the past two decades, and that alone makes a joint console venture between the two of them inherently fascinating. Perhaps even more interesting though, is the fact that this partnership existed long before the console wars of the late 90’s. Ken Kutaragi, a Sony employee as well as the man who would go on to lead the charge towards the Playstation’s eventual inception, secretly brokered a deal to work with Nintendo on their Super Nintendo console. Kutaragi developed the S-SMP audio processing chip for the Super Nintendo, and despite not informing him prior, then-Sony president Norio Ohga gave the all-clear to begin manufacturing the chips. Those familiar with the hardware will know that this chip allowed for more sound RAM and audio channels than the Super Nintendo’s competition, the Sega Genesis. It was a fruitful partnership, but ultimately one that would not last. A conceptual piece of the SNES CD-ROM attachment. Some speculate "CD" stood for "Complete Disaster" here. Due to the sharp rise in CD-ROMs as a storage medium, and due to their relationship with Sony because of Kutaragi’s sound chip, Sony is the company Nintendo seeks out to create a CD-ROM attachment for the Super Nintendo. The plan was initially for Sony to develop two different pieces of hardware--one which would attach onto the Super Nintendo which would allow it to read special CD-ROMs, and another which would be a stand-alone device capable of playing both CD-ROMS and Super Nintendo cartridges out of the box. The initial deal also gave Sony full licensing over the various CD-ROM games that would be produced for the console. This is when Hiroshi Yamauchi, then president of Nintendo, began to get apprehensive about the implications such a deal would bring on. Nintendo would not only essentially be giving a launching pad to future competition, but also allowing them to keep the ball in their court by controlling the lucrative licensing that would come along with these new games. Despite this, Sony was an integral part of their hardware due to the Kutaragi made S-SMP sitting inside of every Super Nintendo console. Nintendo couldn’t afford to rock the boat too much, so they allowed negotiations to draw out for a long time. Thus, at the 1991 Consumer Electronics Show, Sony confidently revealed all of its upcoming Nintendo-tech, from the CD-ROM attachment to the “Nintendo Playstation” itself. However, in an act straight out of Game of Thrones, Nintendo plunged a knife into Sony’s back by the very next day announcing they would instead ink a deal with Phillips for the SNES CD-ROM attachment. The Phillips deal was far more to Nintendo’s liking in terms of licensing money, and if Sony wasn’t going to back down to Nintendo, Nintendo would go elsewhere--something very characteristic of the headstrong, late Yamauchi. 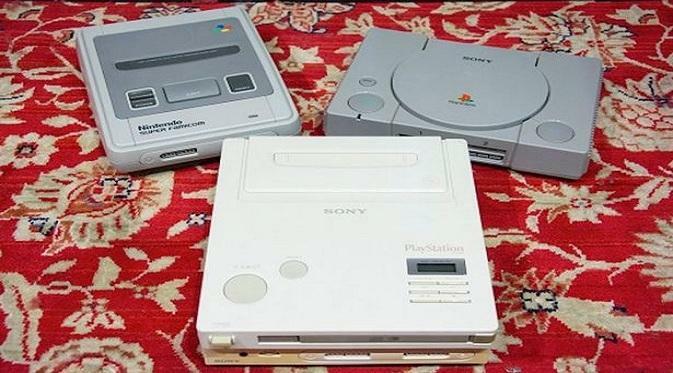 This cunning power-play by Nintendo would bring Sony back into the fold, creating an agreement between all three parties for the development of the SNES CD-ROM attachment which afforded Nintendo much more licensing control. 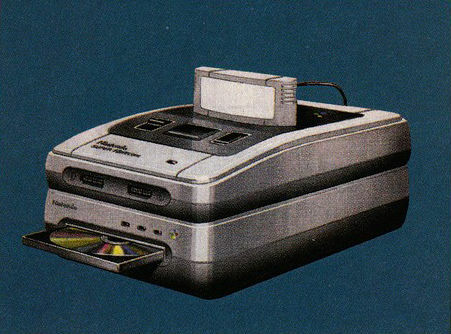 The joint venture would lead to the development of the Super Nintendo Disk Drive (also referred to as the Phillips CD-ROM XA) which while promising, failed to materialize due to a number of reasons. The Super Nintendo simply didn’t have a fast or powerful enough CPU to make developing this more advanced attachment easy, not to mention the financial cost of doing so cutting into their plans for future hardware. Alongside the fact that the process had become such a long, exhausting mess for all parties involved, rife with miscommunication and mistrust, that it hampered development significantly until the project fell apart. Phillips scored the rights to develop games using Nintendo’s intellectual property for their CD-i system out of the deal, spawning what many considered to be downright hideous games like Hotel Mario and Zelda: The Wand of Gamalon. The quality wasn't there, and the CD-i flopped hard at market. Sony would retreat back until the ambitious Kutaragi pushed for the Japanese electronic company to use the tech they had been developing for their own game console, called simply “Playstation.” Nintendo would go on to create the Nintendo 64, foregoing CD-ROM entirely as a storage format--a move which was heavily criticized both at the time and looking back today as it led to the loss of most major third-party game support for the industry titan. One has to wonder if THIS Playstation could have reached the same success as Sony's actual release. You know the rest of the story. That brings us to today, where this prototype has not only been found, but can now play games as well. The reason this prototype’s existence is such a big deal, is because like any great, “lost” piece of art, it is representative not only of a different time, but of a future that never came to pass. The Nintendo Playstation is in and of itself a “what if” and by examining this machine and how it works, we can start to imagine the very different place the gaming industry may have become were this deal between Sony and Nintendo not such a catastrophe. How would this system have worked? What kind of games would have ended up being created for it? How would it have influenced Nintendo’s game design principles? As video game historians, it’s our job to look back at pieces like this and use them to understand how the industry became what it is today, and how different decisions may have given us something completely different--and that is what makes this prototype so fascinating.